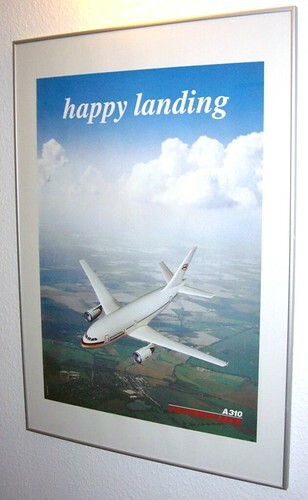 Remaining Signs of Interflug - DDR-Luftfahrtforum ! During our travels to the former DDR, I'm always looking out for images of former life - Mitropa signs, anything beginning with "VEB" etc. 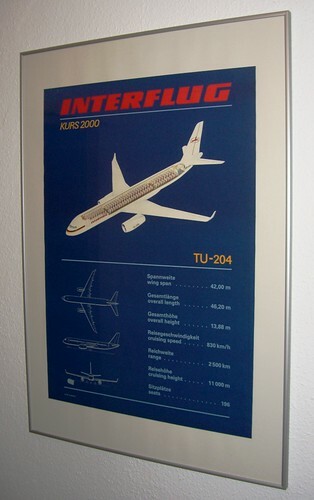 - does anyone know of, or perhaps have a current photo of a former Interflug sign or logo that is still visible today? 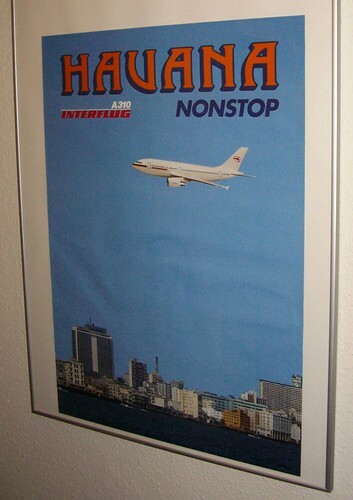 I remember the old international airport in Bangkok still had Interflug branding outside the terminal and at their customer service desk. I have also found the Interflug plane logo on a building sculpture near the Alex in (East) Berlin but this is all. We are planning another "DDR Discovery Tour" this year (our 5th!) and hope to still find life of the former Republik! We wish you a healthy New Year. 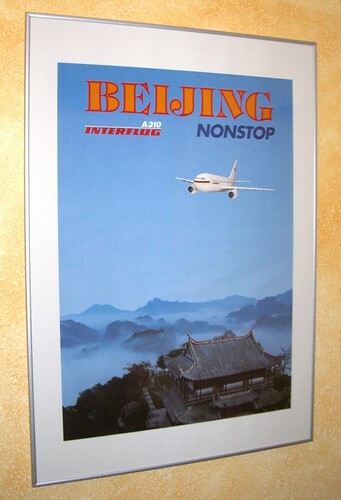 Currently I know only from an existing Interflug-Sign. GAT on the airport Leipzig-Halle (LEJ), the door handles in the direction of the run even with Interflug-Sign. That is a very good question and it is quite hard to answer. I believe there are not many signs left. 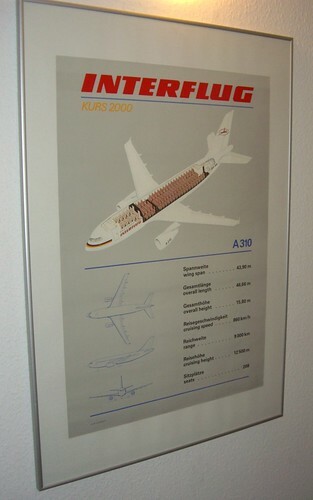 At the Leonardo Airport Hotel Berlin-Schönefeld, there are many genuine vintage INTERFLUG posters on display in the hallways of all floors. 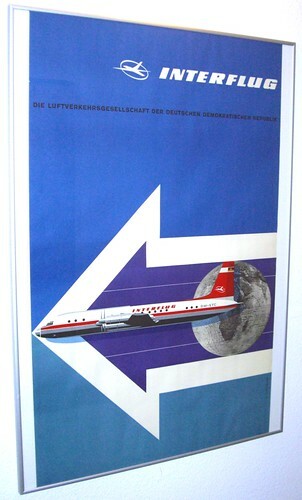 During my recent stay, I took pictures of all of them (like the following poster from the early sixties). The hotel building used to be INTERFLUG's hostel - softening the effect of East Germany's permanent housing shortage. 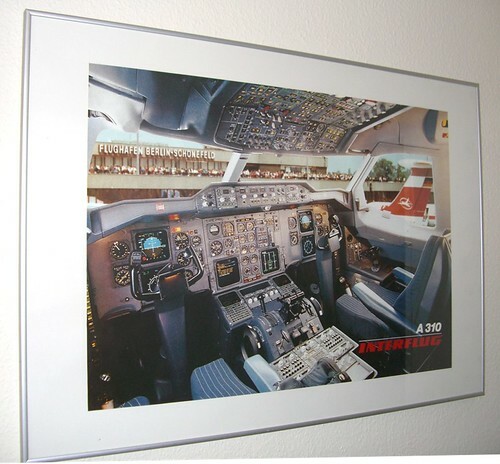 In the vicinity you find INTERFLUG's former Training Center. It was inaugurated in 1988. 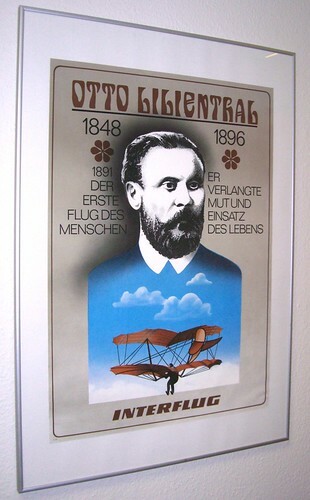 Now it is the home of the Berlin division of Lufthansa Flight Training (LFT). This is the only IF logo I have found to date (near the Alex). I understand the artist who did this work also did the Socialist Realism work on the House of the Teachers (also near the Alex) and had his other work displayed in the Palace of the Republic. Thanks for he photo of the IF poster - what a classic! 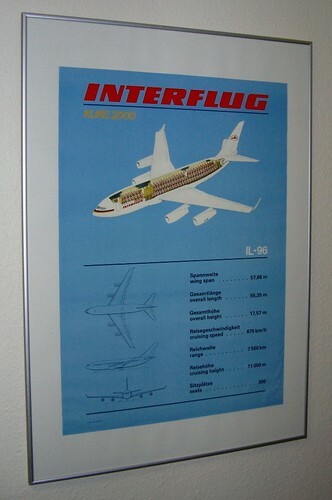 Here are a some more large INTERFLUG posters seen in 2010 at the Leonardo hotel. Most of them are from the late eighties. This one is from the seventies for sure. Kilo Mike Sierra hat geschrieben: This one is from the seventies for sure. Neil will like that for sure. A young architect from Berlin has developed a project idea for a public building called INTERFLUG-Forum. Currently it is only an idea he has published to advertise his work. If luck strikes and the project becomes reality one day, this forum will relocate its headquarters to that building in Berlin. What a great concept! I hope the building does become a reality one day! 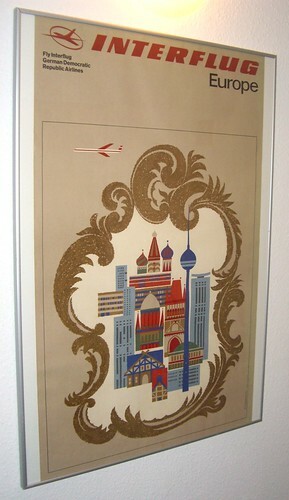 I very much enjoy the architecture of the DDR and have a few books of well known buildings. How I wish I was this age in the 1960's to appreciate and perhaps have been a part of their construction! I am very sad the House of Travelling in East Berlin is to be demolished but happy the House of Teachers is to be saved. The DDR had - and still has - some of the best examples of Socialist architecture anywhere in the world - a photographers delight! One of my saddest regrets is not being able to have visited the Palace der Republik - but I do have a piece of it! (that's another story!) I often wonder which aircraft types IF would be flying if they were around today? - any suggestions, perhaps new destinations too? How about which airline alliance they may have been part of?